Speakers: James Pack (Discussion Leader), Michael Boshniak, Barbara Brandes, Kelly Cobb, Jason Gerrol, Sherry Neal, and others to be announced. Alternate requirements and "substantial equivalence"
When is Kellogg language required? Job requirements - can they be gained through "a reasonable period of on-the-job training"? Non-traditional workers: what constitutes "travel"? how to recruit for multiple work-sites, roving employees, telecommuters, etc. Layoff-related definitions: what constitutes a "related occupation"? who must be "notified"? what actions will satisfy the "consideration" rule? In the case of a layoff, how quickly can the company start new recruitment? How quickly should the company start new recruitment? Which applicants should be interviewed? What constitutes a "lawful, job related reason" for disqualification? Documenting the employee's specific qualifications for the position on the ETA9089 - licenses, skills, training, etc. James Pack (Discussion Leader) provides immigration counsel to large, medium, and small companies in a wide range of industries, including developing wireless technologies, animated feature film production, video game development, and pharmaceuticals. As a member of the Orange County Bar Association’s Pro Bono Committee, James helped develop and presented informational sessions about immigration laws and rights to low income persons throughout Orange County. He is a frequent presenter on immigration topics for various organizations. Barbara J. Brandes has been a member of AILA (the American Immigration Lawyer's Association) since 1980, has participated in numerous panels, and authored several articles on Immigration Law. Ms. Brandes is admitted to the U.S. Supreme Court, the New York State Bar, and has appeared before the Second and Third Circuit Courts of Appeals from which she received a published precedent decision. Recently Ms Brandes sued BALCA in the Southern District and the DOL stipulated to a grant of the Alien Labor Certification. Brandes & Associates practices exclusively in the area of Immigration Law and specializes in complex immigration law issues and the firm represents clients with business, TPS, family, asylum, removal, appeals, criminal, citizenship, and immigration law issues, special immigrant juvenile, victims of crimes cases, Western hemisphere.The firm assists clients from almost every country and the in-house staff is multilingual, fluent in the Spanish, French, Hindi, Chinese, and Punjabi, languages. Michael BoshniakMichael represents large companies and multinational firms. In addition, he has represented individual clients, startup companies and small and mid-size companies on U.S. immigration matters. Michael partners with corporate clients to provide strategic counsel on all matters involving U.S. immigration and nationality law, as well as policy and compliance, to manage large immigration programs. He guides corporate clients on immigration aspects of mergers, acquisitions, divestitures, outsourcing and corporate restructuring, as well as I-9 employer sanctions matters. While in law school, Michael served as an Oralist for the Philip C. Jessup and Benjamin N. Cardozo Moot Court competitions. Before joining Fragomen, he was appointed to the U.S. Attorney General's Honor Program and served as a Trial Attorney for the former Immigration & Naturalization Service in the Los Angeles District. Kelly Cobb is a Partner at Fragomen’s Houston office, where she represents clients across a variety of industries, including the international energy sector, manufacturing, information technology, finance and shipping. She guides corporations in the development and implementation of strategic immigration policies and advises U.S. and international clients on immigration issues related to corporate restructuring including mergers and acquisitions, joint ventures and start-ups. Kelly has a broad range of experience in all areas of employment immigration, including nonimmigrant and immigrant visas, labor certifications, and family-based cases and citizenship. Kelly has in-depth experience working within Houston’s international energy sector, primarily focusing on large volume corporate immigration, including management of both U.S. immigration and global migration. She has more than 15 years experience counseling clients in U.S. Outer Continental Shelf compliance, particularly focusing on assisting international corporations in vessel exemptions, specialist work authorizations and crew member exemptions. Jason Gerrol is now an Associate with Fragomen's office in Boston, Massachusetts having gained experience as an Associate with the law firm of Littler Mendelson, P.C., as a solo-practitioner, and with the Phoenix, Arizona office of Fragomen. Jason works with a range of clients across a variety of industries, including premier high-technology corporations, distinguished universities and businesses of all sizes, as well as individual foreign nationals and their families. Jason has been invited to speak before employers and human resources professionals on numerous immigration topics, including nonimmigrant and immigrant visa options for foreign nationals, the immigration consequences of corporate mergers and acquisitions, in addition to E-Verify best practices, I-9 employment verification, immigration-related discrimination, and related issues arising under the Immigration Reform and Control Act (IRCA). 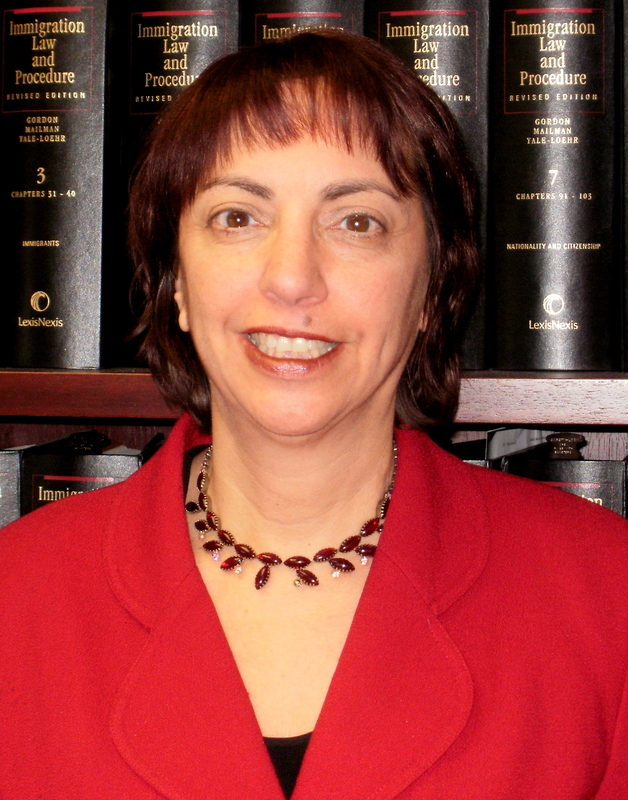 Sherry L. Neal has been a partner since 2004 and an Immigration Attorney with Hammond Law Group since 1995. She handles all types of immigration cases, advising corporations and individuals on immigration law issues. She holds several leadership positions including Chair of the Ohio Chapter of the American Immigration Lawyers Association (AILA), member of the Board of Governors of AILA, and a member of the Healthcare Committee of AILA. She has written many articles on immigration law that have appeared in local, national and international books and magazines. She is a frequent speaker at conferences for legal bar associations, trade organizations and employment groups.